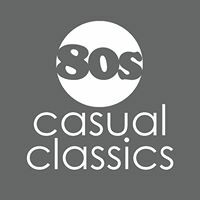 80s Casual Classics – has grown year on year to become the largest website store of its kind offering endless unique brands and styles. Built up from being key to the re-launch in a world of Sports Retro, Vintage 70s, 80s, 90s classics. A website born from the key eras of the Casuals, Dressers, Smoothies and Soul Boys who put clothing and looking good above all else, this sentiment continues with new product and many of todays re-launches. As a company with our considerable loyal customer base we have played a significant role in the re-launch of classics from Sergio Tacchini, Fila, Ellesse, Diadora, Lois, Farah, Adidas and developed new classics across brands like Lyle and Scott, Pretty Green and Weekend Offender. We pride ourselves on becoming a destination for carrying never out of fashion retro classics and try and keep ongoing stocks. As well as having some LIMITED EDITION 150-300 specials. We involve our online and store customers in taking fresh ideas to our brands, procures our own exclusive releases or impact on release decisions. We love the pursuit of originals that our customers remember but we are not afraid to carve a niche to the future on past strengths with what todays like minded young generation want and realistically what some older lads want to wear. Over 30 years on from falling in love with the likes of Italian sportswear a great deal of success has been our own passion for the period and involvement in the revival with much support to key era films mentioned elsewhere on the site.